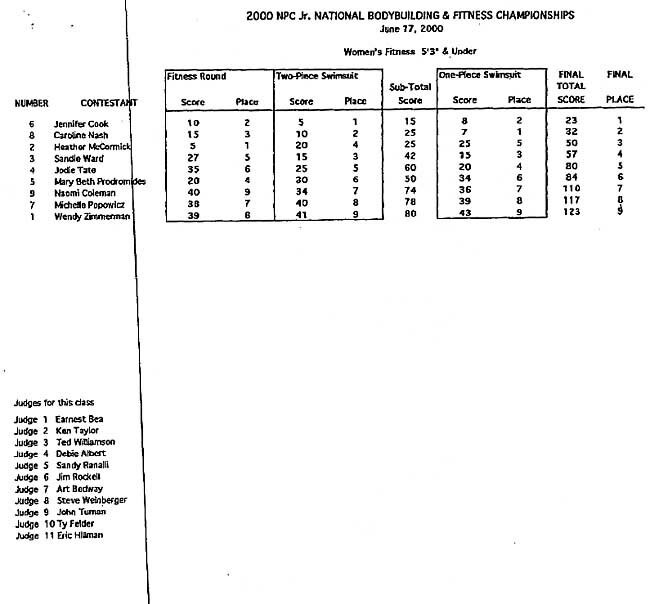 Following are the scorsheets for women's bodybuilding and fitness at the NPC Jr. Nationals. 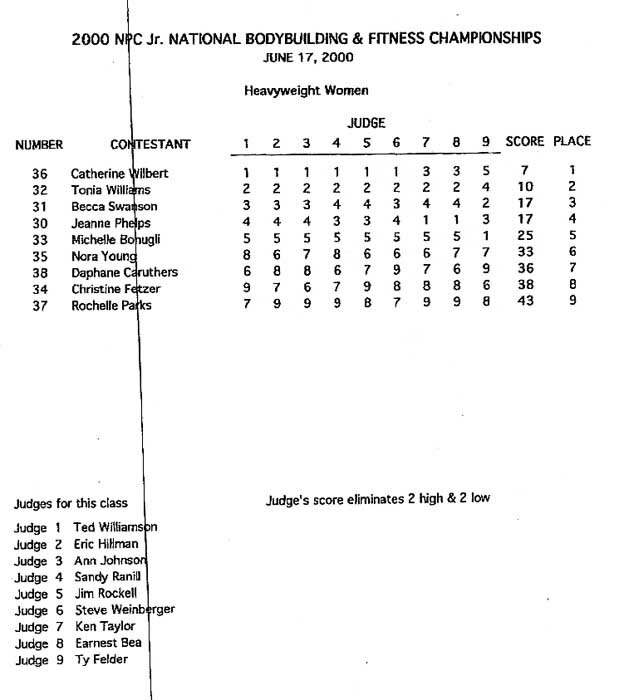 There are no photos because I didn't go to Texas to cover the contest. 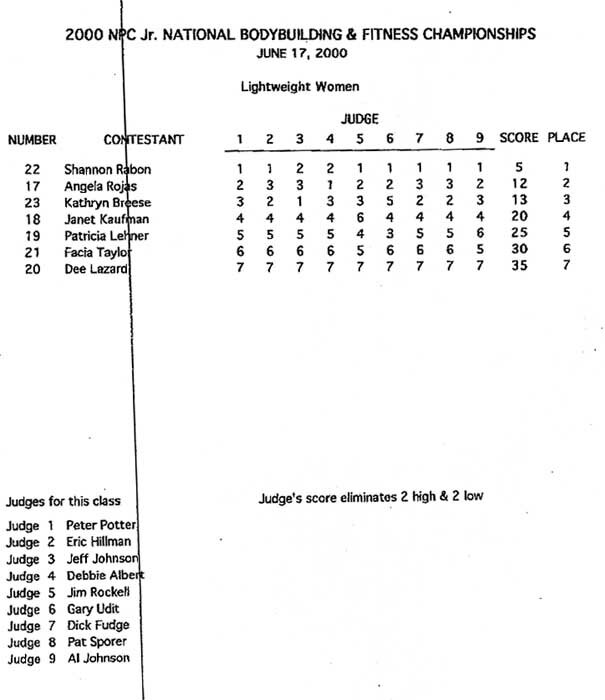 I didn't go because I suspected I would be outraged by use of the new "guidelines" that the judges are using to turn bodybuilding into...I'm not sure what they think they are turning it into. But whatever it is, it isn't bodybuilding. By all accounts, I was right. 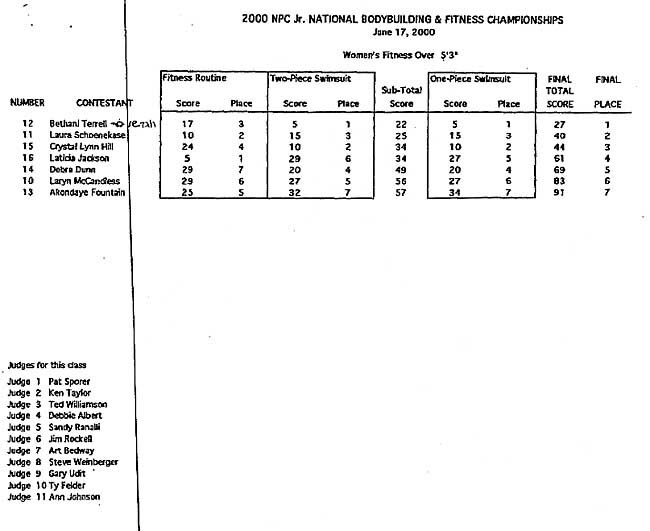 The best bodybuilders in each class were demoted to third or fourth. 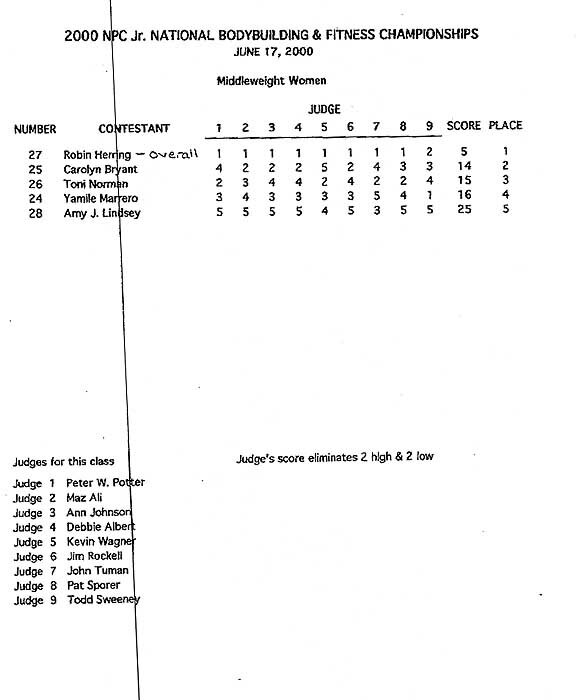 Trying to stamp out "excessive" muscle the judges seem to be simply penalizing whichever competitors have the most muscle. The audience was angry and greeting the results with booing. The judges, it is reported, greeted this display with "smirks." How long the NPC continues this farce remains to be seen. The NPC has had an excellent track record when it comes to treating competitors well and judging them fairly. What they are doing now is unfair to both competitors and fans alike. It is a disgrace, and hopefully they will realize this and come back to their senses before even more serious damage is done to the sport. Make your voice heard and lets see what can be accomplished.